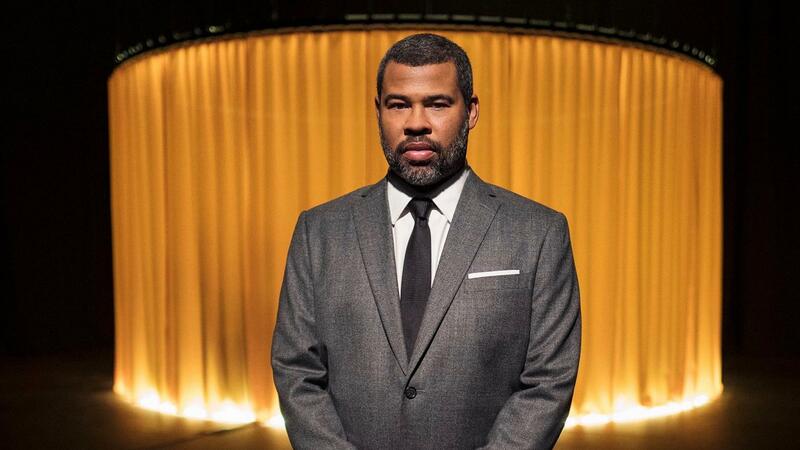 Jordan Peele hosts the newest iteration of "The Twilight Zone." Image courtesy of CBS Television Studios. For generations, “The Twilight Zone” has been revered as a timeless classic, able to redefine the science-fiction genre while also sparking radical conversation that other shows at the time were reluctant to do. Though many reboots have tried and failed to recapture the same lightning in a bottle from the original, this new iteration proves that it is on the right track due to its fresh ideas from horror mastermind Jordan Peele. 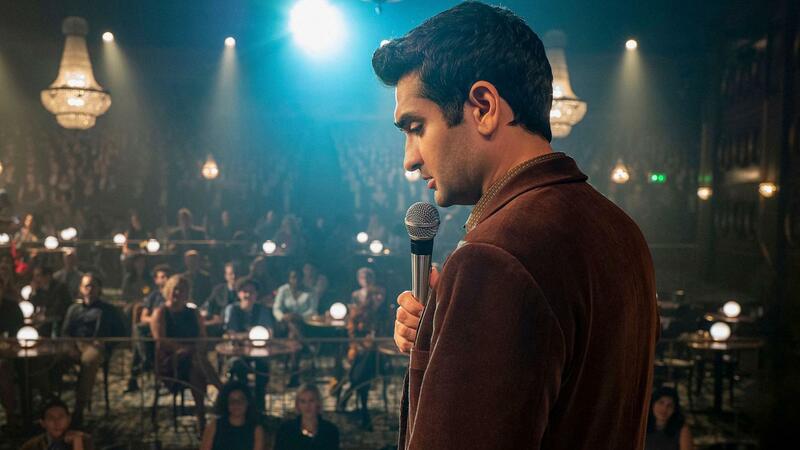 Kumail Nanjiani in “The Comedian.” Image courtesy of CBS Television Studios. The series launched its first two episodes entitled “The Comedian” and “Nightmare At 30,000 Feet.” The former stars Kumail Nanjiani as he plays a struggling comedian who is trying to find his audience. Although refusing to become personal in order to tell a cheap joke, his mindset changes when he meets a surprising guest. Yet, as he gains success in talking about the people in his life, he comes to learn that his actions have consequences. “The Comedian” marks “The Twilight Zone’s” first original episode for the new series. For this one, the twist is revealed early on with much of the episode dedicated to what Nanjiani does as a result. As with any iteration, the episode is a rich character study, putting its main character to the test as viewers watch to see how far Nanjiani will go. Nanjiani excels in an episode that seems specifically written for him as he is presented in a way that doesn’t seem inorganic. Truly pushing the limits of his situation, Nanjiani will test himself in a way that will have audiences relating or screaming with his actions. 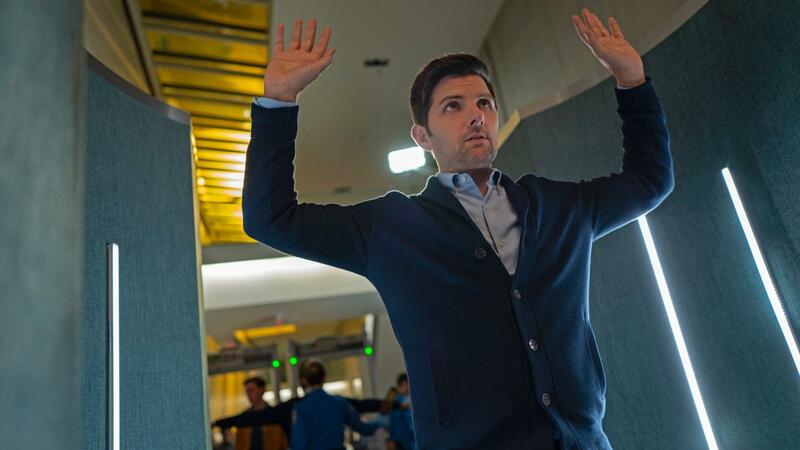 Adam Scott in “Nightmare At 30,000 Feet.” Image courtesy of CBS Television Studios. The second, and arguably best episode of the two, is titled “Nightmare At 30,000 Feet.” A remake of sorts on the beloved and timeless William Shatner episode from 1963, the episode follows Adam Scott, a renowned journalist suffering from PTSD. Though boarding what seems to be another average flight, Scott soon learns that the flight is doomed when he comes in possession of a podcast detailing the last moments of the exact flight he is on. This episode especially excels at presenting what the new iteration of “The Twilight Zone” aims to do in taking a classic idea and putting a modern twist on it. The episode avoids standing in the shadow of the original as it is able to deviate heavily with the exception of the initial setup. An especially well made episode, the story pulls heavily on tension and suspense as it is presented from the perspective of Scott who is trying to unravel this mystery alongside the audience. Despite a more than lackluster ending, the episode never has a dull moment as it will have viewers’ minds racing throughout. “The Twilight Zone’s” biggest fault comes in it being a CBS All Access exclusive. The mass majority of people will be reluctant to pay for yet another streaming service with few offerings, yet the show is good enough that some people may consider paying. The first two episodes seem to capture and expand on the magic of the original. Whether through subscribing or buying later, this is a show to follow. “The Twilight Zone” is now streaming exclusively on CBS All Access. The first episode is available for free on CBS’s YouTube Channel until April 15th.